As marijuana becomes legal for medical or recreational use in more states, parents need to help children understand the dangers of abuse of this and other drugs. Narconon fills this void with new online tools. We provide these drug education materials free of charge to help parents effectively educate their children on the reasons it pays to stay sober. All around us, the media carries stories of marijuana legalization for both medical and recreational use. Just days ago, readers across the nation were able to view photos of Coloradans who stood in long lines to buy legal, recreational weed. How can one keep children safe and drug-free as the business of selling cannabis becomes more open every year? To assist parents with this vital task, Narconon International has compiled facts and advice to help parents balance the scales. If it is, how many people are addicted to weed? How can you tell if a child is using marijuana? What problems are associated with marijuana use? What is the best way to talk to a young person about the effects of consuming marijuana? Is today’s weed really stronger than the marijuana of a decade or two ago? Are there physical problems that can result from marijuana abuse? "When parents have the answers, they can do a much better job of preparing their children to say 'no' when they are offered a joint or a bong," said Bobby Wiggins, drug education specialist for Narconon International. "After reading our report What You Can Do About Marijuana Abuse, parents will have a greater ability to explain why sobriety is the best and safest path for a teen or young adult and how it can lead to greater accomplishment of goals, both large and small." The new report What You Can Do About Marijuana Abuse, is available online or as a downloadable PDF on the Narconon International website. 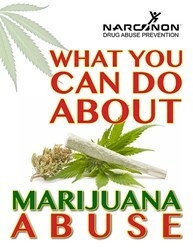 Just visit: http://www.narconon.org/drug-abuse/marijuana/what-you-can-do.html. "Our mission is to enable youth and adults alike to live productive, enjoyable lives free from the effects of addictive drugs," added Wiggins. "We provide these drug education materials free of charge to help parents effectively educate their children on the reasons it pays to stay sober." This online booklet joins others that educate parents on the best way to explain the harm that can be done by abusing cocaine, hallucinogens, inhalants, prescription drugs and many others. For more than forty years, the international Narconon network of rehab and prevention centers have been helping bring about a drug-free world. For more information on the Narconon network, call 1-800-775-8750.